So, you've decided after thoroughly thinking it out that selling your home is something that you're really ready to do now but you don't know where to begin? Before selling your house the most important thing you should be focusing on is of course, getting your house ready. Anyone selling their house wants quick cash and a legit deal, right? Of course they do! However, there is honestly a lot of work behind closing such a deal. Preparing your house to sell it shouldn't take any longer than 7-10 days, but if it does then that's alright too. Remember, you really want to focus on quality, not quantity. To begin preparing your house to be sold you need to first make sure that you are truly going to sell it, that you have decided it's in yours and the houses best interest, and finally, that you've in a sense "let go" of it now. You honestly need to be prepared to watch someone else move into and claim "your" house as theirs now, at any given time. Make sure you say goodbye to any and every room in the house with any amount of significance to you, and just make sure you don't look back! To list your home for sale, and to sell your home quick can really be a hassle, so why make it a hassle for others? be sure to unclutter it. Think about it from this aspect- would you honestly be interested or more turned off by a house for sale that was still cluttered, or had the full fledged feeling that people still live in it, dirty it, and want it? If you're going to sell your home then make sure you sell your home right. No one ultimately wants to make a quick sale off their house if all it's going to bring is pain, frustration, and possibly even a dissapointed customer leading to the point of wanting his or her money back. If you still have stuff in your house and don't need it, then why not give it away before you hold your open house? Another big thing with preparing your house for sale is to get rid of, and or hide your essential everyday items inside of your house. Think of this as 'in essence' something that would have needed to eventually be done anyway. If clutter is holding you down really bad, then consider even temporarily purchasing yourself a storage unit! The first impression is often the most memorable one – this holds true for real estate as much as it does for people. Ask anybody in the real estate industry and they will always tell you – a good-looking property will sell more rapidly. Clean and tidy, no clutter, and place focus on the best aspects of the property. Having a professional property inspection done prior to hitting the market, can be very wise. Identifying any defects or issues in advance will not only give you the chance to make corrections before marketing, but shows potential buyers that you have done you homework and are truly making efforts to add value to the property that others don't have. Peace of mind is a big selling point. A home and property that stand out from other similar properties is the goal. Enableing a buyer to visualize themselves living in your property is key. Packing up and storing as much of the little things, in advance of your move, is a big help, and increases the degree that a buyer has to place their own furniture and things in their minds-eye within your house. 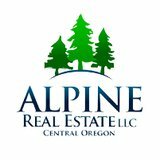 At Alpine, we are experts in helping you begin and complete the process of selling your home and property. We are well connected with other professionals in the real estate world. From professional photography, to home staging, and property inspections, we have established relationships with great local pros to help you in the common goal of selling.